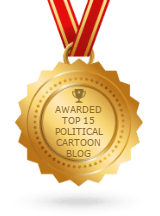 Fred Phelps: Why did the Lord take him? 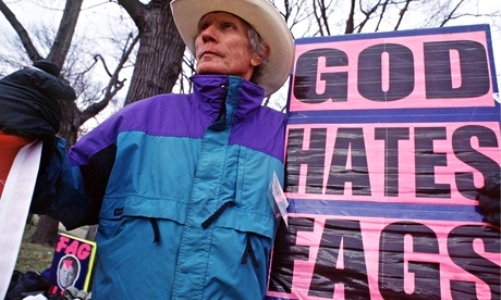 Fred Phelps is best known for picketing funerals of gay veterans who died while serving their country. He believed them to be evil fornicators, or something to that effect. At any rate, Pastor Phelps based his belief system on hate. He was considered the best of his kind. A true hater’s hater. Ironically, the fire and brimstone he preached in his sermons is the very same he is now facing in the afterlife, or so it is believed by many who have been on the receiving end of Fred Phelps’ fury. His congregation, made up mostly of family and friends, are so busy organizing a picket for his funeral that it is causing a problem for the funeral arranger. At present, the funeral director at Leavem-Stiff Funeral Home and Crematorium is not sure how the family wants the remains disposed of, er, laid to rest. The picket will be held at the Westboro Baptist Church Cemetery in Topeka, Kansas on Saturday, weather permitting. If the weather doesn’t permit, then Phelps will be laid to rest quietly and presumptively without any going-away festivities afterward, arranged by his deranged and estranged family. As for the rest of the world, the abiding hope is that Fred Phelps’ hate-filled teachings died with him.